The online version of this article (doi: 10.1186/1471-2334-12-135) contains supplementary material, which is available to authorized users. Community-acquired pneumonia affects millions of people and results in 1.2 million hospital admissions in the United States each year . In Canada, pneumonia accounts for 1 million physician visits and is a major leading cause of death with ~8,000 deaths per year, most of which occur in the elderly population . An estimated $40 billion is expended annually on pneumonia in the US, including both direct and indirect costs . Over half of patients with community acquired pneumonia (CAP) are treated as outpatients  with 10 % subsequently hospitalized . Understanding the prognosis for outpatients with CAP is crucial for optimizing their care . Yet, few studies have evaluated outcomes in CAP outpatients with the majority focusing on short-term mortality and site-of-care decisions. For example, the PORT study investigators evaluated 944 highly selected outpatients and reported a 30-day mortality rate of 0.6 % . More recently, several smaller studies (range of 906 to 1881 patients) have estimated 30-day mortality rates ranging from 0.1 % to 2.5 % [7, 8, 9, 10], although a recent large administrative claims study suggest 30-day mortality rates over 4 % among elderly patients . Similarly, few studies have assessed short-term morbidity (e.g., return to Emergency Departments, hospitalization) in CAP outpatients. 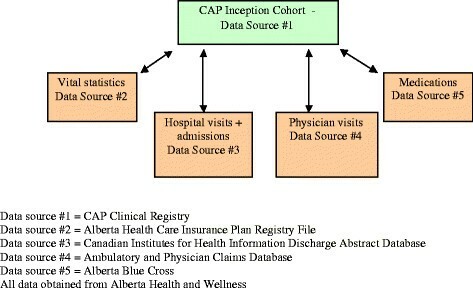 In the studies conducted to date, admission to hospital following Emergency Department discharge for CAP is between 1.5-8.5 % within 30-days [6, 8, 10, 12, 13]. In the only previous study to examine Emergency Department return visits, 3 % of outpatients returned within 30 days . 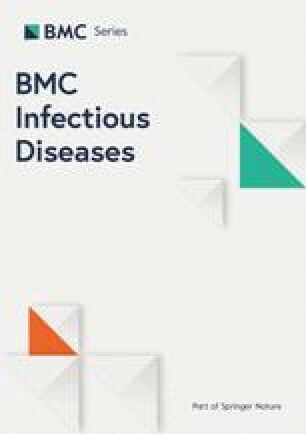 While previous studies have attempted to address some of these issues, available studies are limited by their retrospective assessments [8, 9, 10, 11, 12], reliance on administrative data alone, lack of measures of pneumonia severity, scope (e.g., elderly only) [9, 11, 14], relatively small sample sizes and selection bias [6, 8, 10, 13], selectivity of outcomes (e.g., treatment failure, CAP only hospitalizations) [8, 12], short duration of follow-up [6, 10, 12], and heterogeneity (hospitalized and outpatients combined) [14, 15, 16]. Moreover, none of the previous studies have had a sufficient clinically rich population-based sample size to adequately address these relevant questions. We therefore assembled this cohort to improve our current knowledge for outpatients with CAP and help frame future research. All patients aged ≥17 years presenting with CAP [defined as two or more of cough, pleurisy; shortness of breath; temperature >38 °C; crackles, or bronchial breathing on auscultation] plus radiographic evidence of pneumonia as interpreted by treating physicians admitted to the Emergency Department and discharge back into the community were enrolled. Patients admitted to hospital or directly to the ICU from the Emergency Department, representing approximately 55 % of our overall cohort, are not included in our outpatient registry [18, 19, 20]. All radiographs were subsequently examined by board certified radiologists post-discharge to confirm or refute the presence of opacities consistent with pneumonia. Our registry only excluded patients with tuberculosis, cystic fibrosis, immunocompromised status, hospitalization within the previous 10–14 days, or who were pregnant or nursing. We also excluded patients who were admitted to hospital, died, or returned to the emergency department within the same day to exclude patient transfers, duplicate encounters or hospital admissions or deaths directly related to the initial emergency department encounter. The work was part of a population-wide quality improvement venture and as such, the need for written informed consent was waived. The study was approved by the Ethics Board Panel B of the University of Alberta (Pro00004999).